Engage your children through an interactive and fun activity right in the heart of Ancient Athens. Far from your typical tour, this activity will be one your children won’t soon forget, allowing them to experience history in a unique and immersive way. Visiting Athens with kids? Join us for a fun and interactive adventure in the Ancient Agora of Athens! Let your kids have fun and discover mythical creatures of ancient Greece, classical Greek architecture and the ancient Athenians’ daily life through a series of interactive games. A lot more than a kid-friendly tour! We are so pleased we went on this tour as it really brought the whole place to life for us. Marialena was an excellent guide who was so knowledgeable and able to answer all of our questions.I know that if we had not been on a tour we would not have got as much out of our visit!! Evita was such a great guide and we really had a wonderful time with her. This is an activity designed for families and our kids learned many new things about democracy and the life of Ancient Greeks. Thank you for a special evening! Tina arranged this activity for us and we did not regret - our guide was Marialena and I can say that she is a top-level guide. 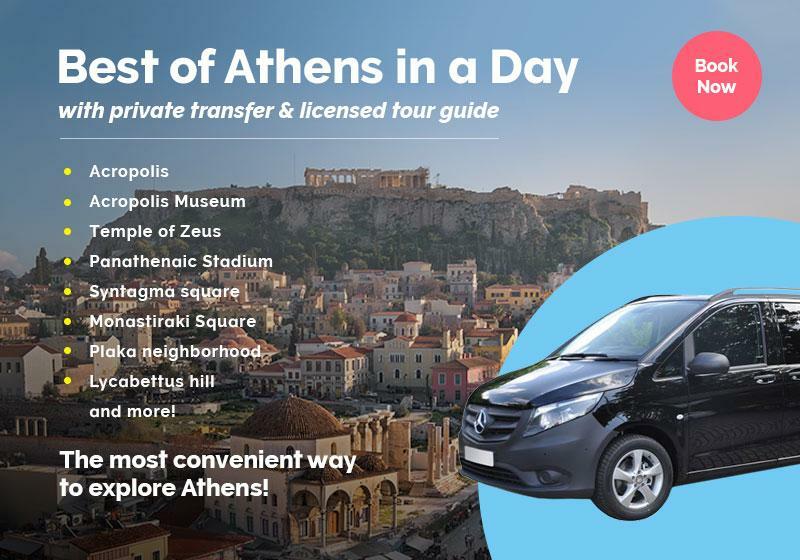 Highly recommended if you are looking for an alternative, family friendly tour in Athens. Excellent tour with Marialena; we enjoyed our time with her in the Ancient Agora of Athens. Despite the heat, she was very engaging with our daughters. Thank you Greeking.me! Get your kids ready and come with us for a play-and-learn journey to the Ancient Agora of Athens. Come on board and “heave up the anchor” with a card-quiz game that will get you straight into the heart of Greek Mythology! Your first stop will be at the temple of Hephaestus where you will be an ancient Athenian engineer exploring the architecture and the use of the godly temple! Then go to Tholos, the ancient Parliament of Athens, and team up to unfold the meaning of tyranny and democracy in ancient Athens! Did you ever wonder how ancient Athenians spent their time? What did they read and how did they get the news from around the city and the known world? Stop at the Monument of the Eponymous Heroes and find out about ancient Athenians’ daily life! Dig out the Tritons and the Giants, extraordinary mythical creatures of ancient Greece, at the Odeon of Agrippa. Then, visit the museum of Ancient Agora at the Stoa of Attalos to discover ancient Greek toys and many more everyday objects used in ancient Athens. Innocent or guilty? Be a judge at an ancient Athenian trial and free or sentence the defendant as ancient Athenians used to do in their court of law: a drama game for strong players! Reaching the end of your journey, get some inspiration from your experience in Ancient Agora and be an artist drawing what made your jaw drop to take it with you as a souvenir of your adventure! Ancient Agora of Athens awaits you! The services of an exceptional licensed guide who specializes in kid-friendly experiences! The spoken language is English. Prepare yourself for an exciting experience & bring along your camera so you can capture the best moments of the tour. A pick-up from your hotel can be arranged if located downtown. Please send us an inquiry. The "Play & Learn in the Ancient Agora: A kids workshop" is available as a private tour, in order to further customize your experience to fulfill your specific needs & expectations. Simply tell us your preferences in the booking form below.